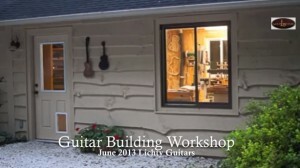 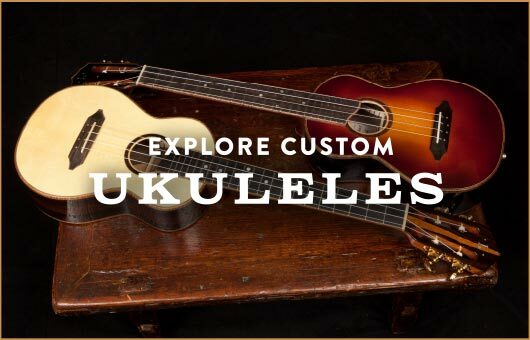 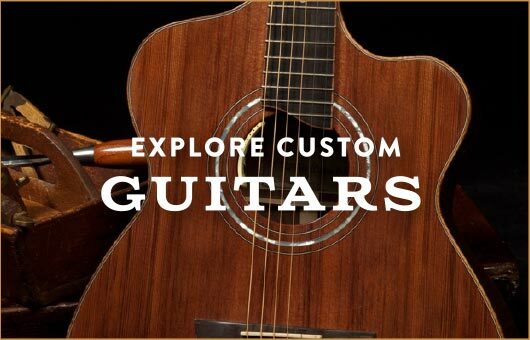 Jay teaches guitar building (and ukulele building) in two different formats – small group and one-on-one, each lasting approximately 12 days. 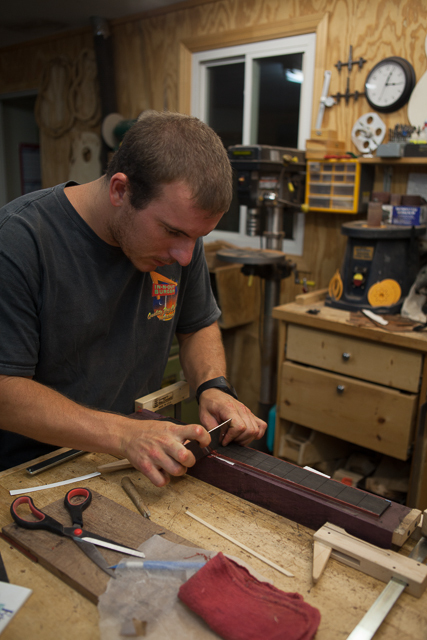 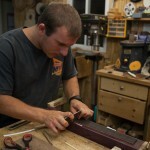 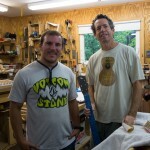 In the one-on-one workshop students get total flexibility in terms of what they build. 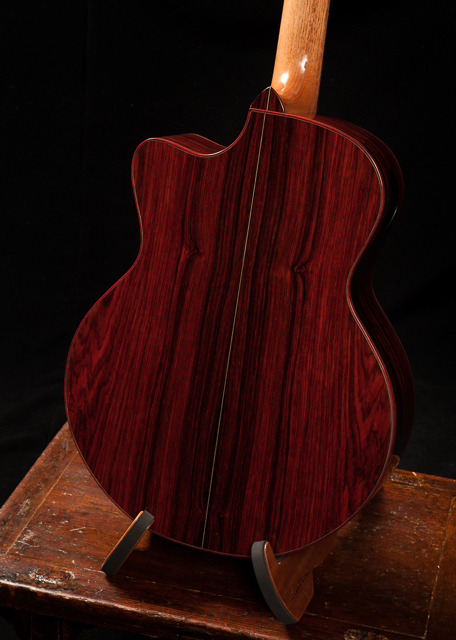 They can choose from any body style Jay builds, can choose from our vast supply of wood, can personalize appointments, etc. 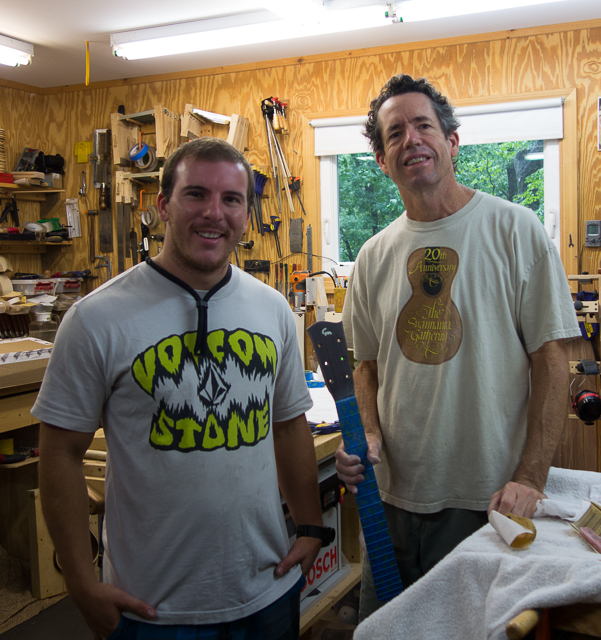 Students complete the build with Jay and then Jay does the final finish because the cure time stretches out over several weeks. 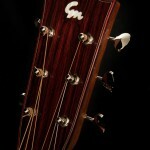 Chad Jennings came from California this summer to work with Jay and the strings have just gone on his beautiful guitar. 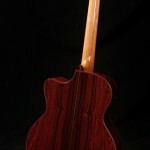 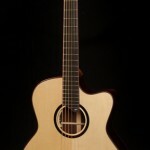 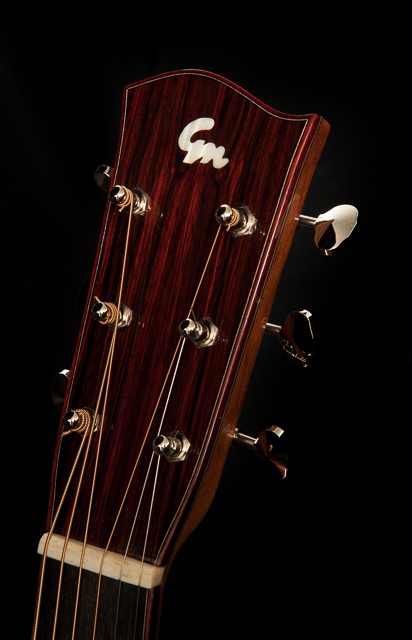 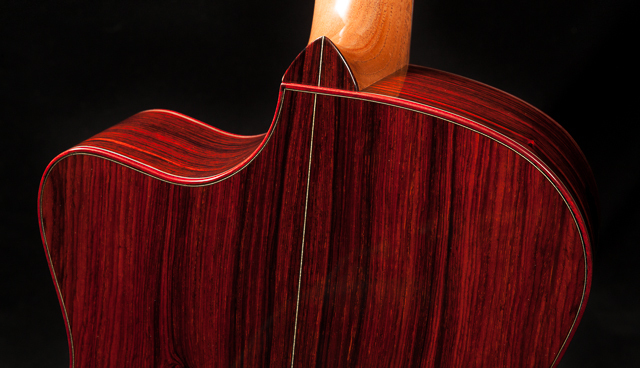 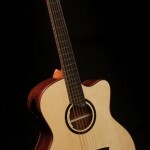 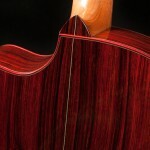 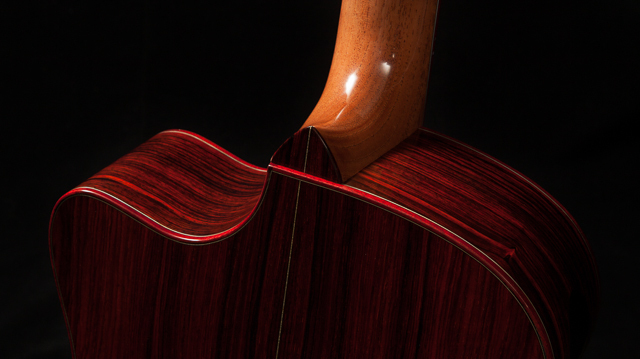 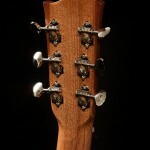 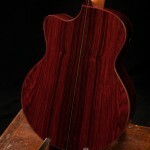 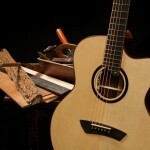 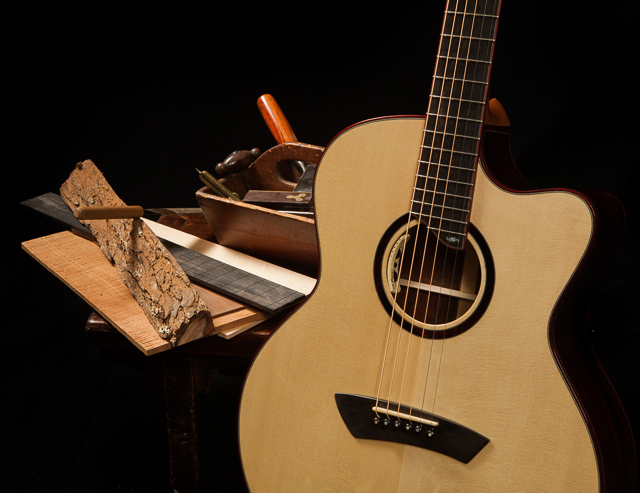 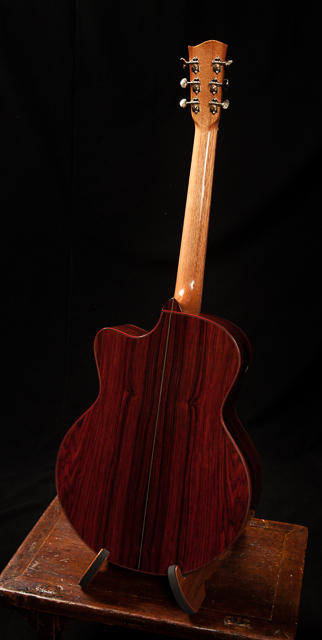 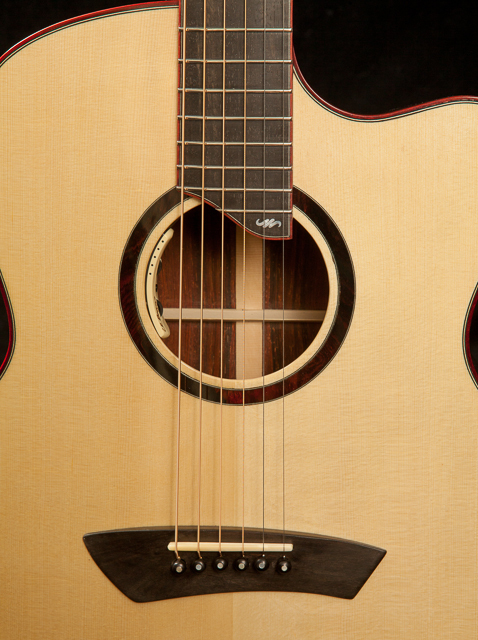 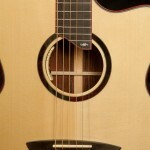 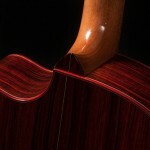 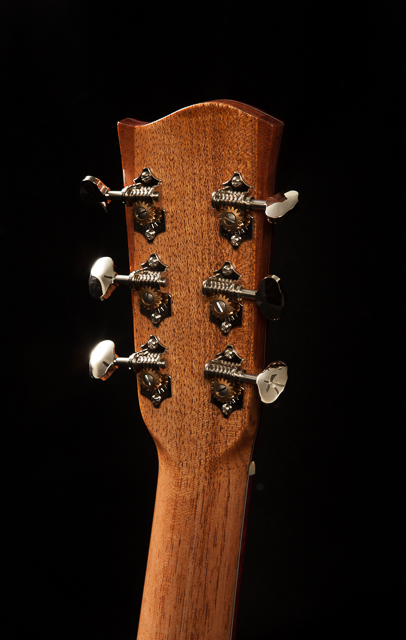 It is hard to believe that this is the first acoustic guitar Chad has built. 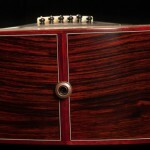 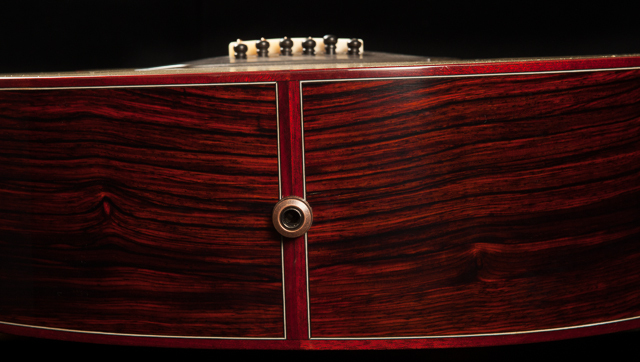 Given he is off to such an amazing start we know Chad will be contributing lots to the world of luthiery in the coming years.